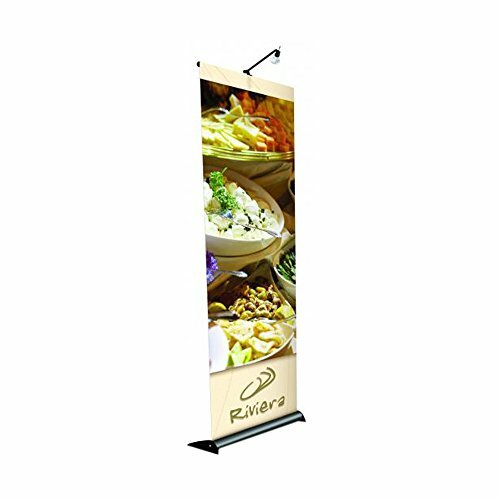 Scrolling Banner Stand - TOP 10 Results for Price Compare - Scrolling Banner Stand Information for April 24, 2019. Floor-to-top graphics, no visible feet, an incredibly clean look Beautiful Black Matte Finish. Suitable for any substrate. "Footless" Design, floor-to-top graphics. Clean edge to edge display. Spring-loaded graphic tension. Two minute assembly and take down. Easy to assemble, pressure sensitive adhesive. Hook & loop included for the top & bottom. 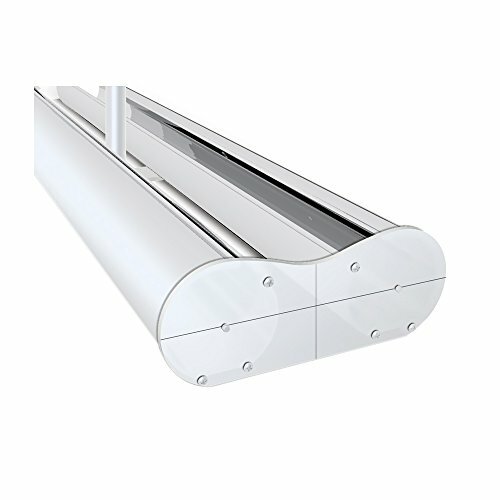 Telescopic aluminum alloy assemblies. Modern curvilinear design & matte black finish. Ideal for most inkjet media. Sleek new styling. Aluminum construction. Telescopic Pole - Infinite height adjustments 36" to 96". Assembles without tools. Top Crossbar attaches with knob. Handsome Satin finishes. Lightweight and portable. Available both single and double sided. Easy to use Velcro brand hook & loop, top and bottom. Instant set-up and take-down. Free soft travel bag with every unit. An incredible quality & value proposition. Still made in USA with pride. Hook comes attached to bar & leader. The loop attaches to the graphic top & bottom. Graphics sold separately. 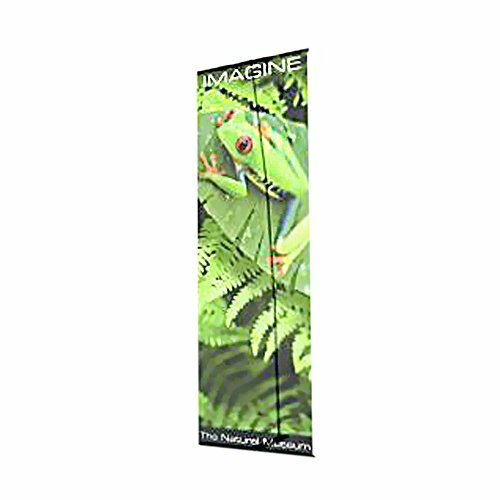 Testrite Visual Office Tradeshow Display Grand Format Banner Stand 52"-96"
Telescopic height 36"- 96". Pole pocket mounting. Two 3" x 17" formed steel bridge bases. Great portability. 5 minute assembly. Standard or Jumbo diameter tubing available. Colors : Black. Size: 52"-96" width. Weight: 10 lbs. Upright: 3/4"-7/8"-1" diameters. Mounting: 2" pole pockets. Style: Standard Tubing. Sleek new styling. Aluminum construction. 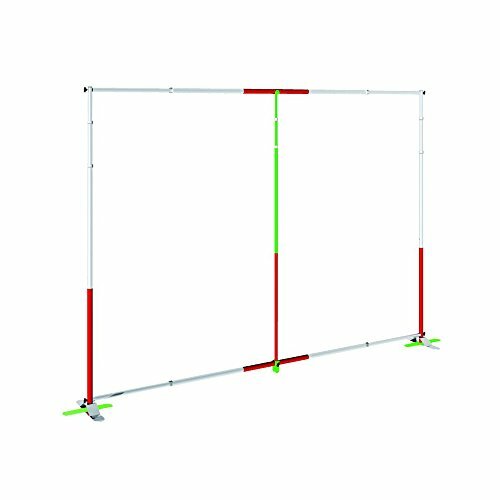 Telescopic Pole - Infinite height adjustments 36" to 96". Assembles without tools. Top Crossbar attaches with knob. Handsome Satin finishes. Lightweight and portable. Easy to use Velcro brand hook & loop, top and bottom. Instant set-up and take-down. Free soft travel bag with every unit. Tool free assembly. Infinitely adjustable up to 8 feet high. An incredible quality & value proposition. Still made in USA with pride. Hook comes attached to bar & leader. The loop attaches to the graphic top & bottom. Graphics sold separately. Style: 1-sided. Size: 36" Width. Weight: 12 lbs. SINGLE SIDED, BLACK. 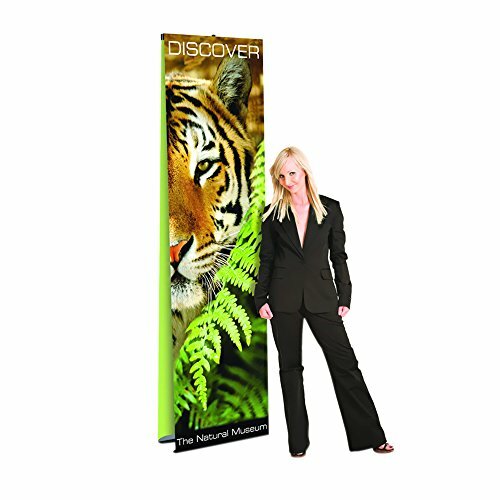 Testrite Visual Office Tradeshow Display Jumbo Large Format Banner Stand 52"-96"
Telescopic height 36"- 96.Pole pocket mounting. Two 3" x 17" formed steel bridge bases. Great portability. 5 minute assembly. Style: Jumbo Diam. Tubing. Size: 52"-96" width. Weight: 16 lbs. Upright: 1-1/4"-1-3/8"-1-1/2" diam. Mounting: 3" Pole Pocket. Color: Black. 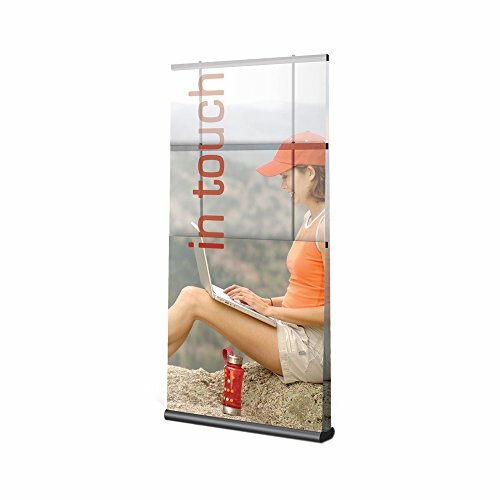 Testrite Visual Office Tradeshow Display Grand Format Banner Stand 30"-48"
Telescopic height 36"- 96". Pole pocket mounting. Two 3" x 17" formed steel bridge bases. Great portability. 5 minute assembly. Standard or Jumbo diameter tubing available. Colors : Silver. Size: 30"-48" width. Weight: 12 lbs. Upright: 3/4"-7/8"-1" diameters. Mounting: 2" pole pockets. Style: Standard Tubing. 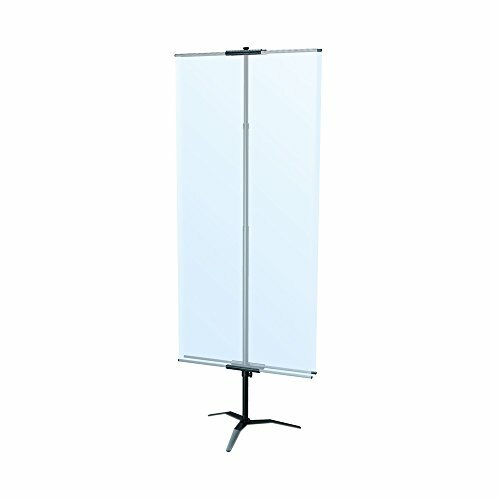 Adjustable height center poles and lightweight metal construction. Top dowel holder attaches to pole top, bottom dowel holder can travel up & down. User friendly and built to last. Trouble free lock allows quick height adjustments. Travel Base (-TB) Steel. Textured powder coated finish. Weight: 10 lbs. Colors: Black. Height: 42" - 118". Don't satisfied with search results? Try to more related search from users who also looking for Scrolling Banner Stand: Silver Dangling Cat Earrings, Performance Gel Arch Cushions, Pvc Knit Wrist Gloves, Sectional Anatomy Learning System, Reed & Barton Silver Plated Fork. 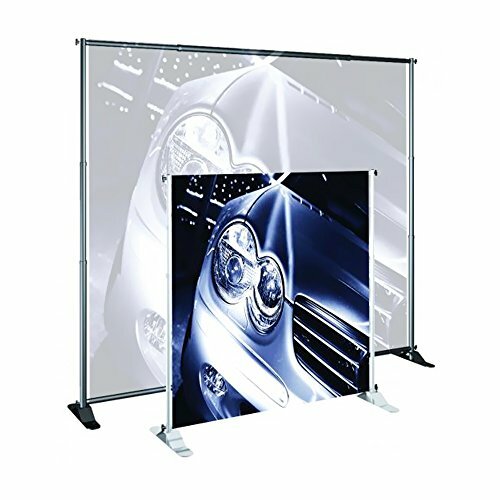 Scrolling Banner Stand - Video Review.